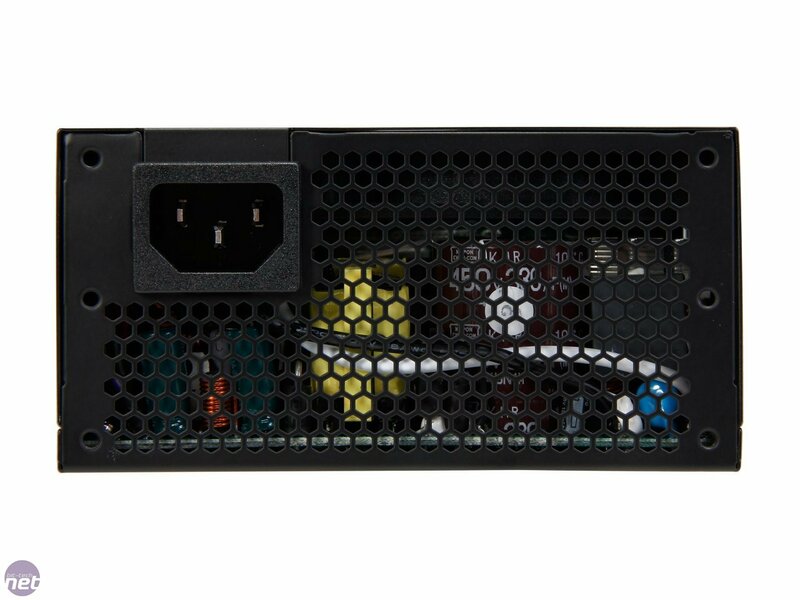 SilverStone is no stranger to producing small-form-factor (SFF) PSUs capable of powering high-end rigs. The company has even provided guidance to Nvidia when designing for the nascent range of graphics cards that, at times, far exceed their rated TDP. Headlining the SFF range is the diminutive SX600-G that's presented in an SFX form factor. 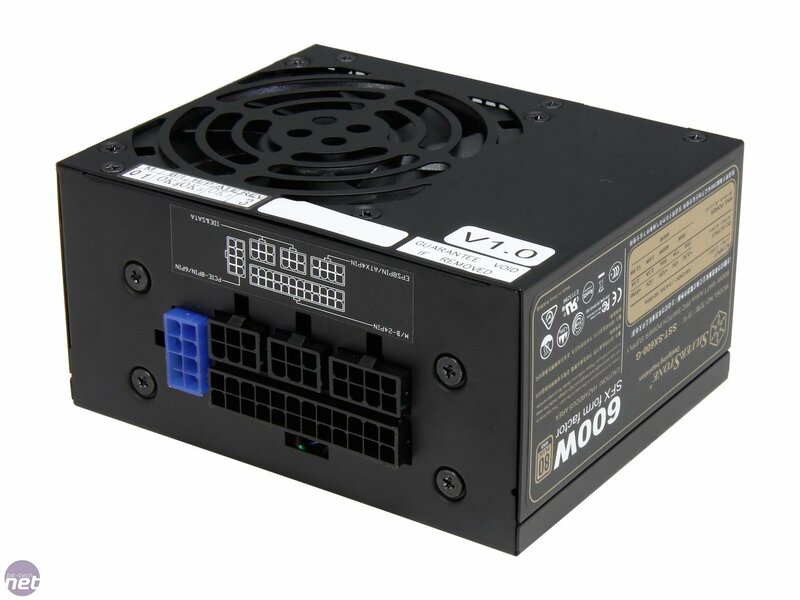 This means it is 100mm wide, 125mm deep and a maximum 63.5mm high - or just under 50 per cent of the cubic volume of a standard ATX supply. SilverStone adheres to the specification exactly, which is impressive given that a larger-than-normal, 80mm fan is shoehorned into the chassis. 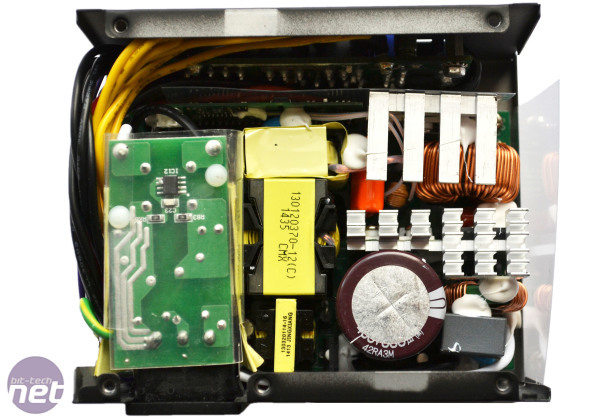 Speaking of which, the all-black 600W unit is more functional than attractive. There's no power switch on the back, mind, with SilverStone using that space for the exhaust grille instead, and the only interruption to the design is for the specification badge on one side. But looks are subservient to features and performance. SilverStone gets marks for making this high-capacity unit fully modular with respect to cabling, enabling tidy builds in the tightest of confines. The small size is visually reinforced by the amount of space taken up by the 24-pin motherboard connector. 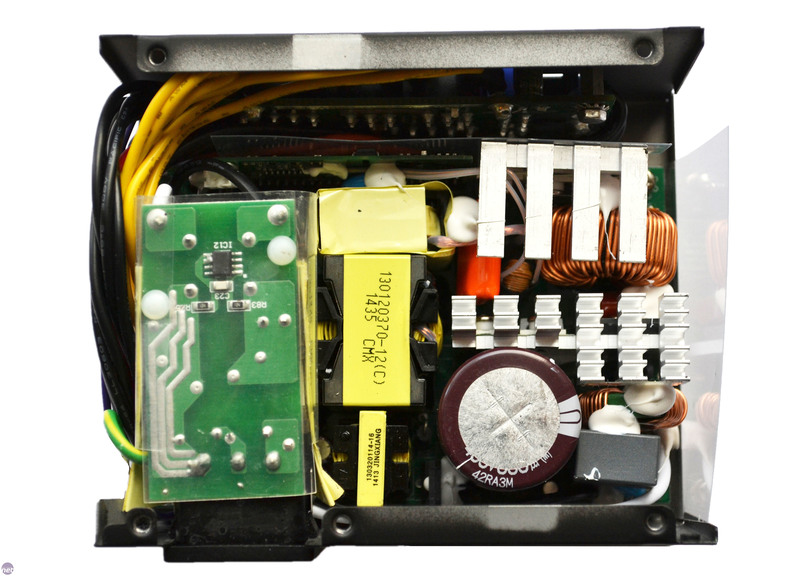 Four further ports, clearly marked, are used for additional CPU power connectivity, peripherals, and dual-plug PCI-E. 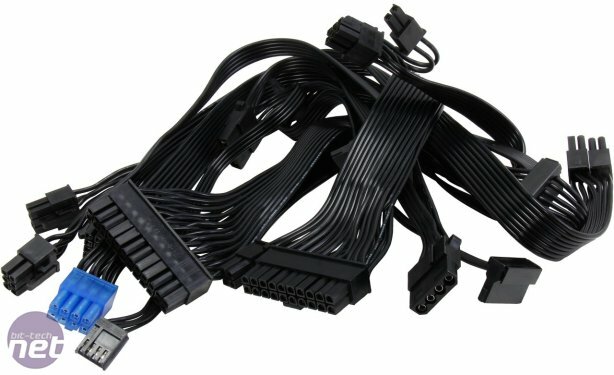 There's enough cabling and power for all single-card builds commonly seen in SFF PCs, and the use of 16-gauge wire enables easily manipulation of the cabling... a must when space is limited. Users wanting smaller cables for tidier builds can purchase the optional 'shorter kit'. 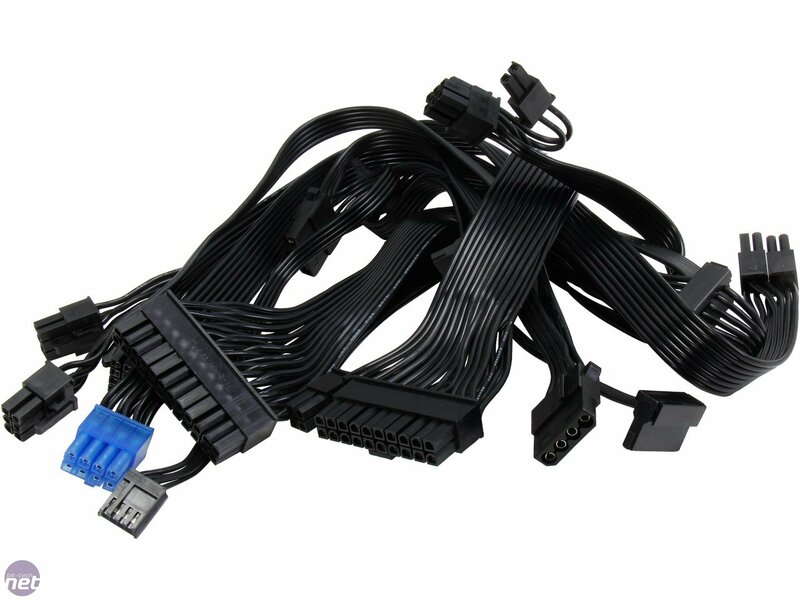 It's common fare to have the maximum continuous power shunted down a single 12V line used to service graphics cards and the CPU. 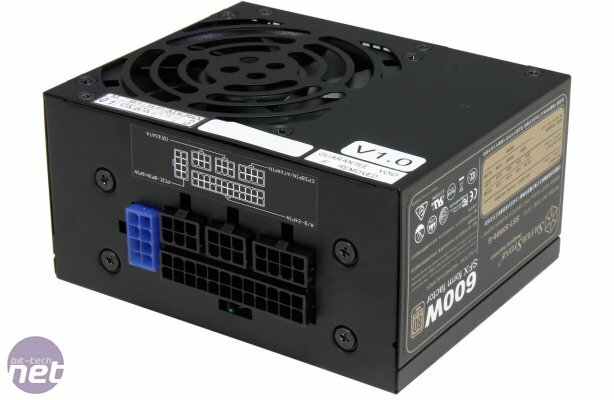 This 80 PLUS Gold supply's engineering credentials are further boosted by SilverStone specifying the wattage capacity at a 40°C ambient load, which is easily achievable, and likely, in an SFF build. The SX600-G's 80mm ball-bearing fan remains switched off at idle and low loads, according to the company, and only kicks in once the internal temperature exceeds 45°C - this usually happens at around 15 per cent total load. The fan then steadily ramps up from 750rpm to a maximum 2,300rpm when running at full chat. Inside, the Enhance-made unit has good filtering, excellent soldering and uses Nippon Chemi-Con capacitors for primary filtering and the cheaper Su'scon caps for some of the secondary-side filtering; we'd have preferred Nippon or Teapo to be present instead. High capacity, fully-modular cabling, and a good selection of cables do come at a cost when presented in an SFX format. The SX-600G's £100 asking price is steep, but, putting it in context, it's a niche product that has no real rival.